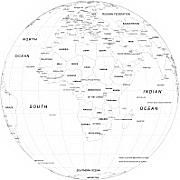 Editable royalty-free map of Africa continent map in vector-graphic online store. 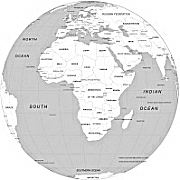 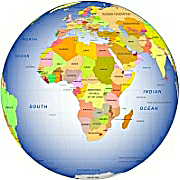 Africa is the world`s second-largest and second most-populous continent, after Asia. 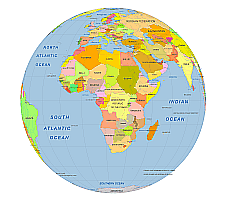 At about 30.2 million km² (11.7 million sq mi) including adjacent islands, it covers 6% of the Earth`s total surface area and 20.4% of the total land area.With 1.0 billion people in 61 territories, it accounts for about 14.72% of the world`s human population.